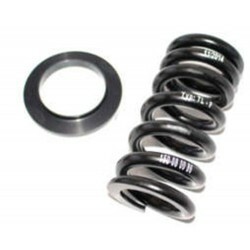 Tecnium seat lowering kit for CB650F and CBR650F. The lowering of the motorcycle is operated by a ring and spring mechanism. If you are not sure of being able to practice this action alone, the intervention of a professional is recommended. 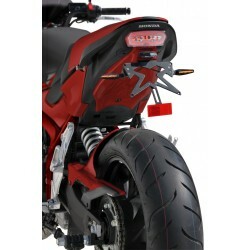 Ermax fender eliminator for your CB650F (2014-2016) and CBR650F. Choose your color. Comes with plate holder, mounting kit, reflector holder and plate light. 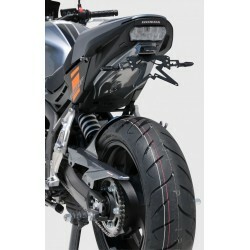 Ermax fender eliminator for your CB650F (2017 and after) and CBR650F. Choose your color. Comes with plate holder, reflector holder and light. Honda seat cover for Honda CB650F/CBR650F. Choose the color of your bike.